In an effort to immerse ourselves more deeply in the kinds of books we enjoy while also broadening our literary horizons, Jenny and I are devoting our reading in January to international crime novels. I kicked off the month with an Argentine classic in which the killer himself explains the events that led him to commit the crime. 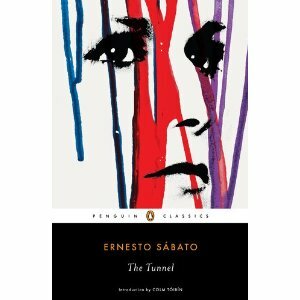 In Ernesto Sábato’s 1948 novel The Tunnel, translated by Margaret Sayers Peden, an artist named Juan Pablo Castel tells of his relationship with María Iribarne, the “one person who could have understood me” and “the very person I killed.” Juan Pablo first saw María at an exhibition of his paintings. She seemed to pay special attention to a small detail in one of the paintings that no one else seemed to notice but that Juan Pablo thought was important. He became obsessed with meeting this woman who seemed to see into his soul. Was I saying I was not a rational person? On the contrary, my mind is like a calculating machine, constantly computing. For example, in terms of what was happening that minute, hadn’t I spent months reasoning and analyzing and classifying hypotheses? And, in a way, wasn’t it my capacity for logical thought that finally led me to María? Of course, real people don’t behave according to rules of logic, and Juan Pablo is making a mistake to try to analyze human behavior according to such rules. His use of logic is in fact highly illogical. Sometimes he seems to recognize this, but it doesn’t stop him from following his thoughts to their illogical logical conclusion. Sábato immerses readers in Juan Pablo’s twisted thought processes and makes us sympathize with him for his understandable doubts and want to shake him for jumping to conclusions. And knowing from the beginning that somehow all these thoughts will lead to murder makes even the understandable doubts feel tinged with darkness. Whatever sympathy we might feel is fleeting because we know where the story is going. The Tunnel is often described as an existentialist novel. I’m going to ‘fess up right now and tell you that I’ve never been able to quite wrap my mind around existentialism. On the few occasions that I’ve had reason to study it (when learning about Kierkegaard in modern theology class, for example), I’ve been able to understand it in that particular context, but when I see the term applied elsewhere, I can’t quite work out the connections—or maybe I think existentialism is something more profound than it is. Sometimes it seems to me that anyone who writes about the meaning of life and death ends up getting classed as existentialist, in which case the term is too broad to be helpful. Clearly, I need Existentialism for Dummies or the equivalent. I think, in the case of this novel, the existentialism has to do with Juan Pablo’s feeling of alienation from others and his attempts to apply logic to life when it is too random for such rules to apply. Anyway, reading this did make me consider, for the first time, that it might be time to revisit The Stranger, which I read and loathed in high school. I did enjoy this, and I see that it has been compared to The Stranger, so maybe my tastes have changed. Existentialist or not, I liked The Tunnel. It is a short book, and I wouldn’t have it be any longer than it is because I was starting to get impatient with Juan Pablo’s overthinking of every little thing. But it ended before I got good and fed up, so the book was a success for me. 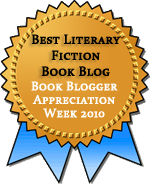 This entry was posted in Classics, Fiction and tagged E-Galley, Review Copy. Bookmark the permalink. ‘It ended before I got good and fed up’. Lol, I so often feel this about a book! I’m not really sure what existentialism is about either. Have you ever seen the film I Heart Huckabees, where existential detectives investigate a coincidence? That’s about the only time that I’ve felt that I understood the philosophy – and it may not even be accurate. What I’ve always taken from that is: everything we think, feel, do, and everything else that happens in the world, is connected in a web of meaninglessness. It’s a relief that someone as smart as you also finds existentialism something of a mystery, Victoria! I did see I Heart Huckabees, but it didn’t help much–the randomness aggravated me too much! But I can see how your notion of it would apply to this book: The protagonist is trying to impose meaning and order on people’s actions, but they’re too random for there to be any meaning and so he gets it all wrong. I read this last year, and I obviously got fed up with Juan Pablo sooner than you did :) I also found that his lack of redeeming features was a bind, and I didn’t care for his vision of Maria either – what was she doing? Ha! Yes, I can see myself getting annoyed with all these things if the book had been even 50 pages longer. Perhaps 50 pages shorter would have worked for you? I haven’t tried very hard to understand existentialism. At this point, I think the term has probably been used in too many situations to be of much help. I also had to read The Stranger in high school and loathed it as well. I’ll be interested to see what you think if you do get to it, Eva. I’m not sure you would like it, to be honest, but at least it’s short! I should start to read more crime novels from countries that are not UK or USA, I think I’m missing a lot. This book sounds great, it almost seems like a psychological thriller. I felt I was missing a lot, too, so it’s been fun to branch out. And yes, this is definitely psychological, but it’s not exactly suspenceful, not in the usual way anyway.